The increased recognition of project management as an effective means of completing numerous and complex project efforts has prompted many larger healthcare organizations to create a Program Management Office (PMO). The primary goal of a PMO is to yield positive results from standardizing project management processes, policies, reporting, and communication methods. For the office to be most useful, it should reflect the organization’s culture and overall vision and strategy. 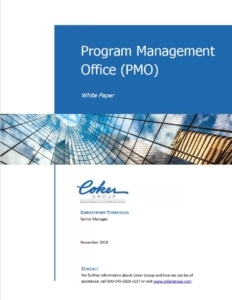 This white paper will discuss the steps to develop a PMO and identify its rewarding benefits. It will also address alternatives to launching a PMO independently that involves engaging an experienced project manager to oversee the initiative from beginning to completion.